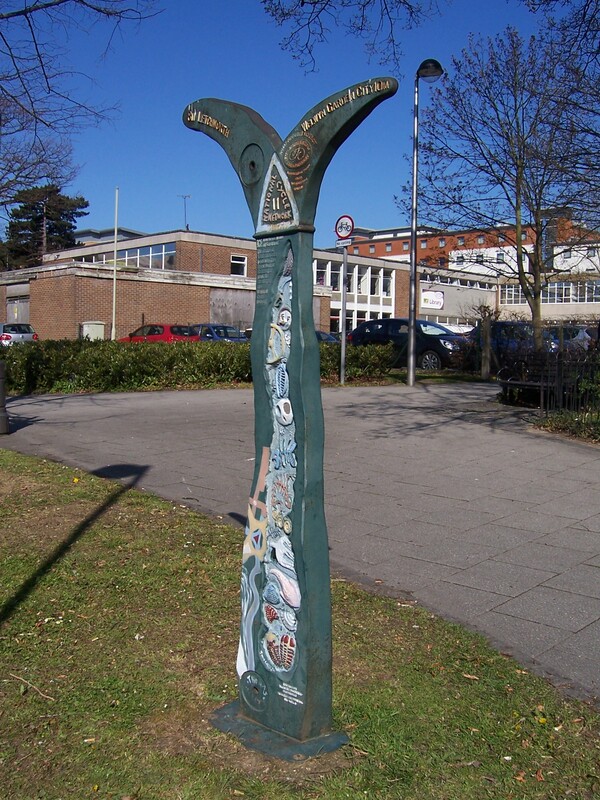 Four artists from England, Ireland, Scotland and Wales were commissioned by the National Cycle Network to design mileposts to celebrate the Millennium. The first was designed for England by John Mills. According to Sustrans, it was entitled “The Fossil Tree”, and “it takes the form of an abstract tree with relief imagery of fossils depicting the passage of time from early primitive creatures to the ultimate demise of fossil fuel driven technology”. It was unveiled in 2000. This page was added on 06/09/2013.